The Canadian alt-pop star is drawing incredible inspiration these days—literally. Daily Dose is your source for the one song you absolutely, positively need to hear every day. Curated by the Paste Music Team. 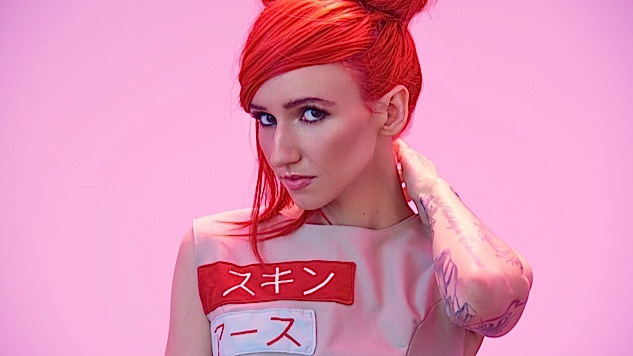 Canadian alt-pop star Lights is drawing incredible amounts of inspiration these days—literally. For her upcoming fourth album, Skin&Earth, the Juno Award-winning artist is issuing a beautiful companion comic-book series that she conceived, wrote and illustrated. “Savage,” which features Josh Dun of Twenty One Pilots on drums, corresponds directly with Issue 2 of the companion comics series. The video, which you can check out below, reveals Lights as a raven-haired heroine, incorporating images of her artwork throughout. Skin&Earth is out Sept. 22 on Warner Bros.